Getting the most out of TROVE | Geelong Family History Group Inc.
Here’s your chance to join us at the Geelong Family History Group meeting on Wednesday 23rd May 2018 at 7.30 pm – Belmont Library meeting room, High Street, Belmont. This Wednesday our Research Officer, John Stewart, will be showing you how to get the most out of using digitised newspapers on TROVE. 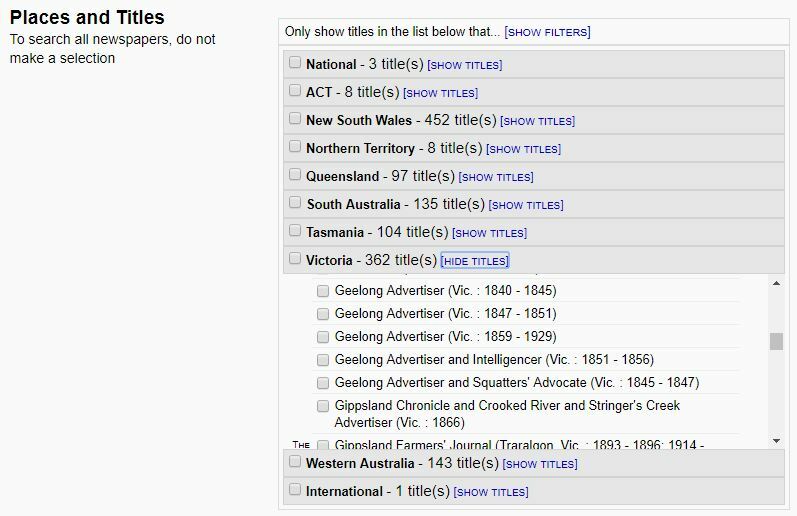 Many people think they know how to use TROVE and the digitised newspapers – you might be surprised at some of the helpful tips from John. Our full meeting program is on our web site. This entry was posted in Event, Family history, Family History Research, Local History and tagged Digitised newspapers, Geelong Advertiser, GFHG Meetings, TROVE. Bookmark the permalink.